Break out the bourbon and break off a few sprigs of fresh mint. 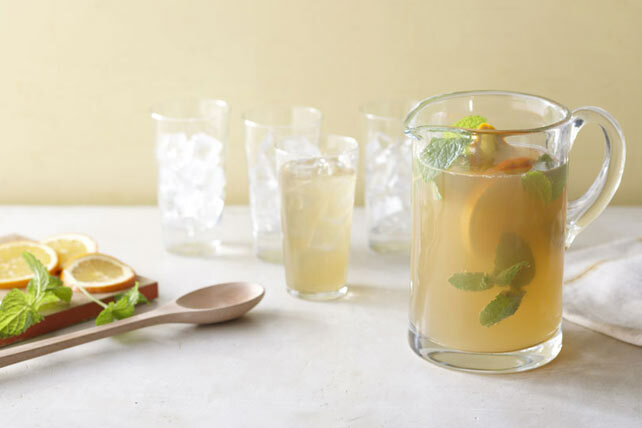 This citrusy ginger punch is the perfect sip to enjoy whilst watching the Kentucky derby. Add water to drink mix in 2-qt. glass or plastic pitcher; stir until mix is dissolved. Stir in all remaining ingredients except ice. Dissolve drink mix in water as directed. Refrigerate until ready to serve. Stir in all remaining ingredients except ice. Serve over ice. Prepare as directed, omitting the bourbon, increasing the water to 3 cups and adding a few drops rum extract to the punch.